Many people believe that using a tanning bed, booth or sunlamp is safer than tanning outside in the sun. But the truth is that just like sun tanning, indoor tanning also exposes users to two types of ultraviolet (UV) rays, UVA and UVB, which can lead to skin cancer. UV rays can damage the actual DNA of skin cells, which is what is believed to lead to skin cancer. They also damage the skin, causing wrinkles, rashes and dark spots. And tanning is particularly dangerous for the young. According to the Centers for Disease Control and Prevention (CDC), people who begin tanning during adolescence or early adulthood have a higher risk of melanoma, the deadliest type of skin cancer. This may be due to greater use of indoor tanning among those who begin tanning at earlier ages. 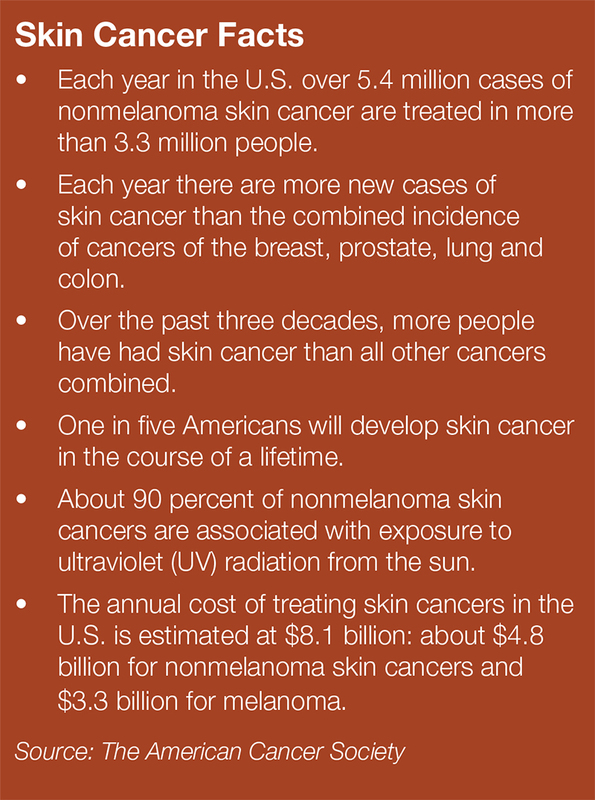 Skin cancer is the most common cancer in the U.S., and unlike almost all other kinds of cancer, the rates are climbing. Today, more than 3.5 million skin cancers are diagnosed each year in the U.S. That’s more than all other cancers combined. The best way to protect yourself from skin cancer is to limit your exposure to UV rays, whether they come from the sun or from man-made sources such as indoor tanning beds. Truth: A tan is the body’s response to injury from UV rays, showing that damage has been done. It does little to protect you from future UV exposure. Truth: Indoor tanning exposes you to intense UV rays, increasing your risk of melanoma—the second most common cancer in women between 20 and 29 years old. Eleven states plus the District of Columbia now prohibit indoor tanning for minors younger than age 18. Brazil and Australia have banned indoor tanning altogether. Austria, Belgium, Finland, France, Germany, Iceland, Italy, Norway, Portugal, Spain and the UK have banned indoor tanning for people younger than age 18.